UK-listed Hikma Pharma has licensed an array of injectable cancer drugs from China’s Hansoh, sparking a rise in its share price. The five-year licensing and supply deal gives Hikma – which is based in Jordan – exclusive rights to the drugs, which are due to be filed for approval within the next 12 months, in the US. “Our partnership with Hansoh will expand Hikma’s growing US portfolio of vital injectable oncology medicines and strengthens our ability to serve the growing needs of US hospitals, physicians and patients,” said the company’s commercial and business development head Daniel Motto. The move also earned Hikma an upgrade to ‘buy’ from analysts at Jefferies, who said the addition of the new products would help the company accelerate a turnaround in its US injectable generics business, a sector in which the outlook has “significantly improved” of late. 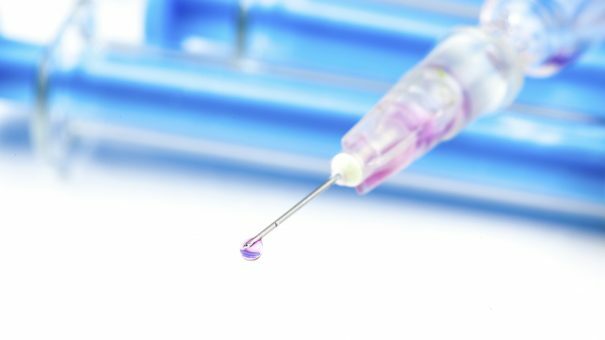 Market research firm GrandView Research has estimated that the US market for speciality injectable generics will swell to $27.8 billion in 2025, with oncology making up the largest market share, thanks to an improved reimbursement environment. The identity of the drugs hasn’t been revealed as yet, but Hansoh’s website lists gemcitabine, vinorelbine and pemetrexed disodium – the generic of Eli Lilly’s lung cancer drug Alimta – among its products for export. Lilly is claiming patent protection for Alimta in the US until 2022 after winning a judgment in a patent infringement lawsuit in June. Hikma said in its interim results statement earlier this year that it expects to make $750-$800 million in sales from its global injectables business in the current financial year. It’s the second major deal for Hikma this month, coming after it announced a collaboration with UK company Vectura to produce generics of GlaxoSmithKline’s Ellipta range of asthma medicines. GSK’s patents on these products – which have been tipped to make upwards of $4 billion in sales at peak – don’t however start to expire until 2021. Shares in Hikma closed up a little over 2% on the strength of the Hansoh announcement.